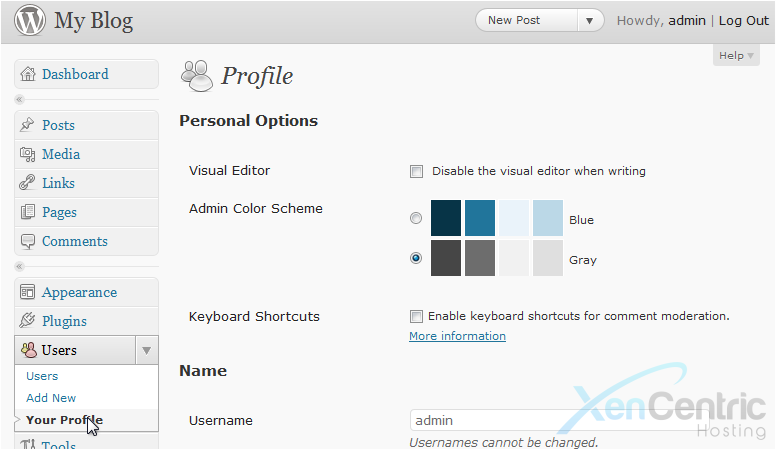 This tutorial will show you how to edit your profile in WordPress. 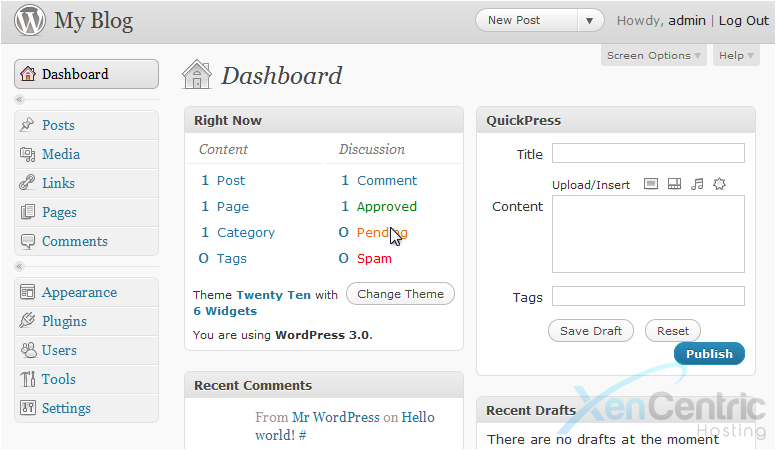 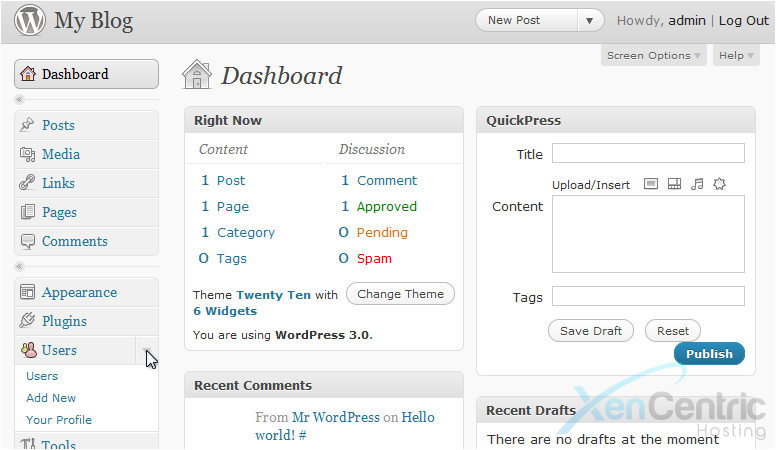 This tutorial assumes you are already logged in to WordPress. 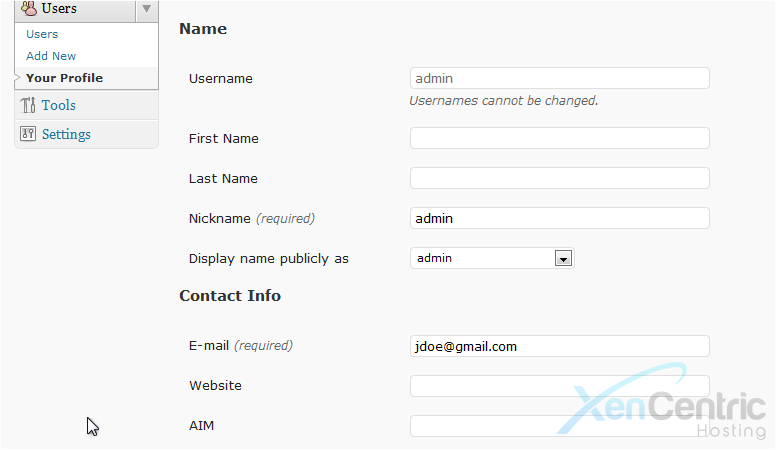 2) Click Your Profile. 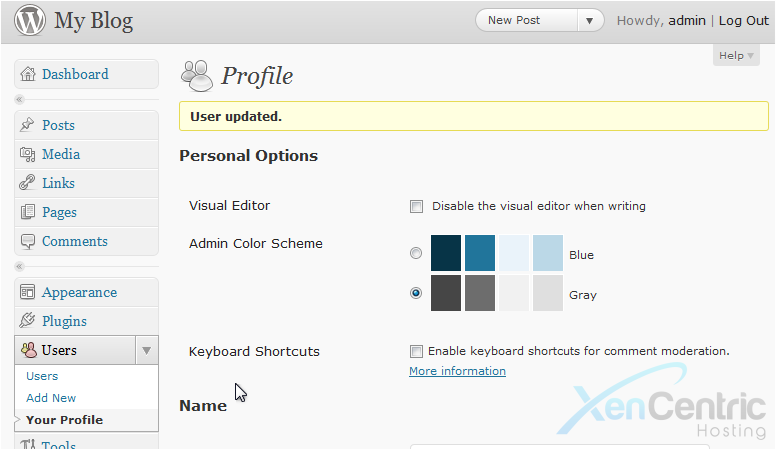 On this screen, you can edit options relating to the visual editor and color scheme. 4) Enter your First Name. 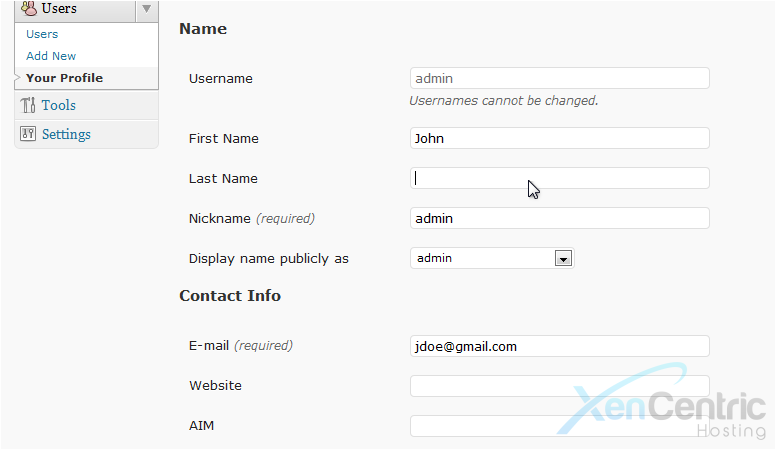 5) Enter your Last Name. 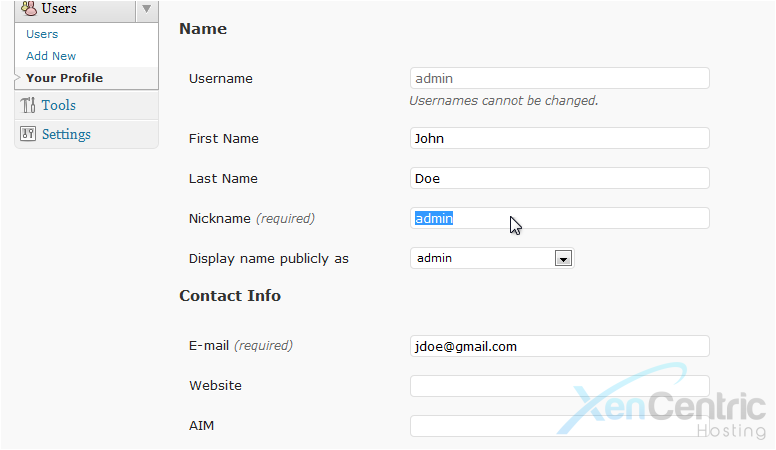 6) Enter a new Nickname. 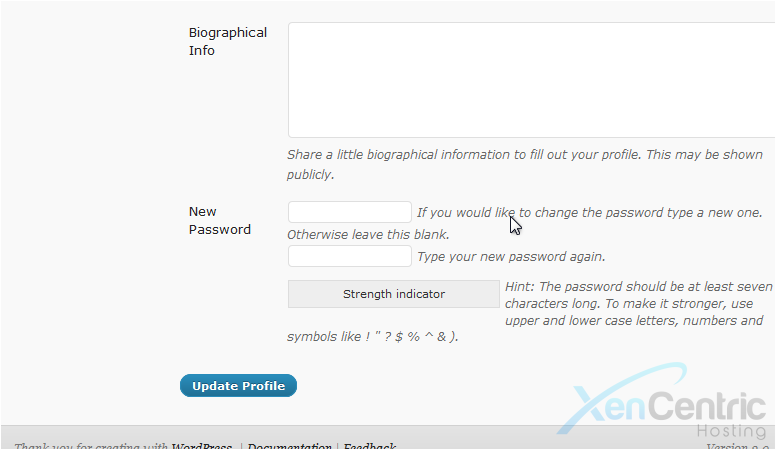 8) Enter some Biographical Info. Click Update Profile.